Navigating power. My dad shakes hand with the government who would later cage him. When I was twenty-three I was given the task of handing over my father to the authorities. No, I wasn't collaborating with the police. My father had been found guilty after a long legal battle with the state, and had to turn himself in at a federal penitentiary. The prison was in a remote location in South Carolina which is about a four hour drive from Atlanta, where I was living at the time. Out of all my family members, most of whom reside in the US colony of Puerto Rico, I lived the closest to where my Dad was expected to pay his debt to society, by serving a 63 months sentence. The drive down to the jail must have been one of the worst experiences of my life. I knew that with every mile I drove, I was bringing my father closer to his cage. When we arrived at the gates, my heart started racing and I couldn't even look at my dad. We parked, entered the building and were both searched. My father was asked to enter into small room. A few moments later a prison guard handed me a shopping bag with his clothes, his watch, wallet and shoes. When my dad stepped out of that room, he was wearing his prison uniform. My dad looked at me and tears filled his eyes. This would be the first time I ever saw my father cry. My father is one of the toughest and smartest persons I know. He has been involved in Puerto Rican politics since he was nineteen. During the 1970's he spearheaded a campaign that succeed in granting Puerto Ricans the right to vote in US Presidential primaries. In the 1980's he started an ambitious all news TV station on the island, the first of its kind in Latin America. Canal 24 (Channel 24) focused on investigative reporting, something that disrupted the action news model of most local evening news programs and made the station the most popular TV News outlet at the time. 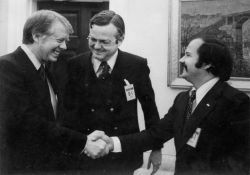 Their reports revealed connections between Colombian drug cartels and the CIA, long before Gary Webb's Dark Alliance article. Reporters at Canal 24 also investigated local politicians and revealed the deep seeded culture of corruption that was ingrained in the state government. In short, Canal 24 pissed off a lot of powerful people off, and my dad being the head of the station, became the target of several politically motivated government investigations. After being found not guilty on two previous cases filed by the Puerto Rican government, the trial that landed him in jail felt like it was engineered for him to lose. By that time Canal 24 had closed and my Dad was knee deep in the fight for his freedom, this time against the US Government. During the trial it was discovered that my father had a brain tumor, and a court appointed doctor forced him to take medications that made him drowsy, caused memory loss and impaired his ability to conduct a proper defense. Also, his attorney did not disclose to him that prior to being hired, he was an investigator for the US Government for my father's case. With the odds stacked against him, my father was found guilty, cuffed and taken to maximum security prison immediately after the trial ended. When my father arrived at the maximum security prison, he was stripped searched and left naked in a cell with the air conditioner at full blast. He would regularly be denied medical attention, access to his lawyer and placed in solitary confinement. When it was announced that he was to be transferred to a minimum security prison in South Carolina, I was relieved. But minimum security prison is still prison. My dad lived in an army style barrack with other "criminals", mainly small time drug dealers who cut deals on the advice of their court appointed lawyers. While they slept, prison guards would routinely bust in yelling, shine flashlights on their faces, and throw all their belongings on the floor. If anybody complained they would be sent to the "hole", a jail cell in complete isolation from other prisoners. At one point my dad was forced out of bed told to gather his belongings and transported to another prison in Alabama in the middle of the night without the knowledge of his attorney or our family. My father's imprisonment not only affected him, but was a huge emotional burden on my immediate and extended family. While in prison my father missed my sister's wedding and did not get to see my younger brother perform on stage. My brother was 9 at the time and I don't think I have to explain why having your dad in jail does to a school aged boy. My mother had to switch gears and become the bread winner and I had to drive for 8 hours on weekends so that Dad could have family contact. The story of my father's odyssey with the penal system is not one that I share often. But in light of the events that took place in Vancouver during the Olympics and more recently in Toronto during the g20, I feel it's important to put it out there so that those who've never had a loved one in jail get a taste of the hell families go through. More specifically, this story is directed at those who would carelessly endanger our comrades, and who value their egos and personalities more than the freedom of those who choose to fight differently. Back in February, a small black bloc joined an action called "The Heart Attack" and smashed the windows of several stores and banks in Vancouver during the Olympics. Following the success of the day which included non-violent actions, the police were desperately searching for the perpetrators and would arrest activists on the most ridiculous pretexts, like riding a bicycle down the sidewalk. 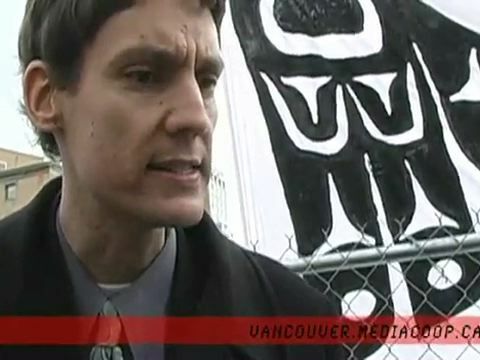 During the anti-olympic convergence, BC Civil Liberties Executive Director, David Eby was part of the legal team for the Olympic Resistance Network or ORN. The day following the "Heart Attack" David Eby denounced the action on the corporate media. Following Eby's denunciation, Larry Hildes, an attorney and a member of the ORN's legal team broke ranks and gave a statement to the VMC. "There are people in jail now that BCCLA is supposed to be providing legal support for and instead of doing that, they're denouncing them." He added "As a lawyer I think it's unethical and they should be disciplined by the law society for doing that." During this time of intense police repression, Rabble.ca blogger, and now co-chair of StopWar.ca Derrick O'Keefe, felt it was fitting to accuse a well known activist and comrade of assault on a social networking website. After I tracked down and asked people who reposted O'Keefe's accusation to take their down posts, I emailed O'Keefe and asked him to explain himself. To this day, I have yet to receive a reply and O'keefe has since repeated the accusation on his blog. On June 30th of this year, a few days after a black bloc smashed corporate stores and set cop cars on fire In Toronto during the G20, O'Keefe promoted a website on his twitter account* that exhorted people to call Toronto Crime Stoppers** and provide information about a man who was trashing a cop car. 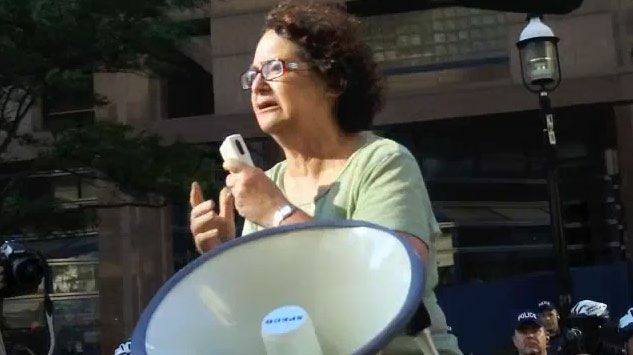 Similarly, on June 27th, well known Toronto activist and writer Judy Rebick told a local news outlet that the black bloc should have been arrested… "at the beginning before they had a chance to be part of a bigger crowd." Later on the interview Rebick furthered the idea of "good protester vs. bad protester" with a twist: Now there are good militants and bad militants. The good militants just wanted to go down to the fence that was erected to protect the G20 leaders and the bad militants were the ones who smashed corporate stores and bank windows. It is important to note that Rebick paid homage to the voting rights group the suffragettes, in her book Ten Thousand Roses. The suffragettes were a first wave militant feminist group who engaged in direct actions such as smashing store windows and setting off bombs. 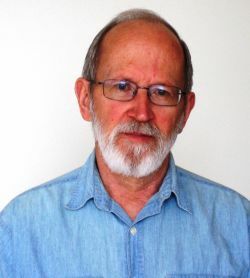 Following Rebick's lead, "progressive" political commentator Murray Dobbin suggested that the next time a black bloc came around that social activists take the law into their own hands and "swarm these people and stop them if the police refuse." Now that denouncing and unmasking militants has been approved by high profile "lefties", the witch hunt to identify and hand over the "vandals" over to the police is alive and well on "progressive" websites and on Facebook. People are combing the internet for video and photo evidence and the Toronto Police has set up a webpage where people can "anonymously" upload their own digital tips. In Vancouver, a civil rights rally being held in "in accordance with police" will not welcome the black bloc and one organizer says she does not "necessarily blame the police" for the civil rights abuses that happened in Toronto during the G20. The rally will feature speakers from Stopwar.ca and BC Civil Liberties association. Just like my Dad, the charges against some of the comrades involved in organizing in Vancouver and Toronto are of a political nature, weather the state admits it or not. The public denunciation by celebrity leftist activists and "civil libertarians" validates the state's position and weakens the defense arguments of those comrades who face serious jail time. While in state custody, our comrades face beatings, torture, intimidation and extreme fear. As someone who's had a family member and several friends in government cages, I have zero tolerance for those who would endanger the freedom of people working for a better world. If we are going to build a successful culture of resistance, our position regarding this matter should be uncompromising and our outrage towards those who betray our comrades should be loud and fierce. *UPDATE JULY 19 2010 - Added link that Derrick O'Keefe and others promoted on their Twitter accounts. 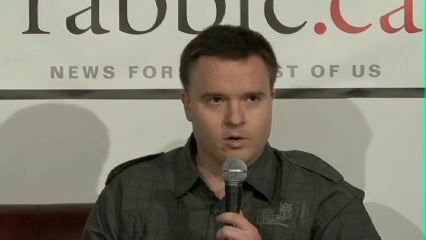 **UPDATE JULY 20 2010 - The man pictured on the website that Derrick O'Keefe promoted on Twitter has been arrested. I posted an article about it here.